Research is one of the most important steps in the car-buying process. Once you’ve done your homework, you’ll be able to find a vehicle that not only suits your personal taste and lifestyle, but one that rises above the competition with features that outlast and outperform. 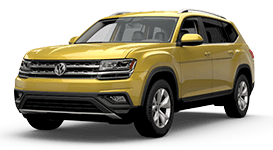 The 2018 Volkswagen Atlas is this vehicle, claiming victory in various head-to-head contests when compared to other SUVs in its class like the 2018 Toyota Highlander and 2017 Honda Pilot. The facts are all there, and this knowledge will have you racing to our Volkswagen dealership near Carmel, IN, to test-drive this superior SUV today! At our VW dealership, our inventory is stocked with a bevy of 2018 Volkswagen Atlas SUVs just waiting to be driven home by you. But if you’re hesitant to get behind the wheel with a test-drive, just look at the statistics. From engine options to emergency response, the 2018 Volkswagen Atlas SE is the winner every time. 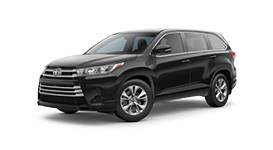 Its 3.6-liter V6 engine overpowers the 2.7-liter I4 powerplant on the 2018 Toyota Highlander, while the smooth output of 4MOTION® all-wheel drive is far more impressive than the standard front-wheel drive of both the 2018 Highlander LE and 2017 Honda Pilot EX. 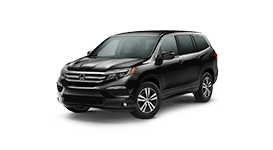 And with a basic warranty that doubles the assurance of Toyota and Honda, both in months and mileage, the 2018 VW Atlas is designed to keep you on the road longer. Continue to compare the 2018 Volkswagen Atlas to major SUV models to see that there simply is no contest and the Atlas is a clear winner. And when you’re deciding on something as important as buying a new car, what do you want to be driving away with -- a winner or a runner-up? Score big at Tom Wood Volkswagen by test-driving the 2018 Volkswagen Atlas today!